Does your home need some attention? Do you have a compelling and heart warming story? Do you want to be part of an award winning lifestyle program? 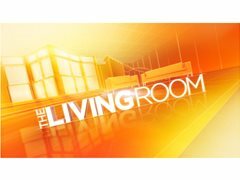 Well now is your chance to have Barry DuBois and The Living Room come and renovate your home. We are looking for a variety of renovation projects from leaky taps to flipping apartments, no job is too large or too small. • Do you consider yourself handy? Note: you MUST have a budget you are prepared to put towards the renovation but we will co-fund the costs for the right projects.